Blenheim Amusements are based in Cassington, Nr Witney and Oxford, Oxfordshire. We provide fairground amusements. 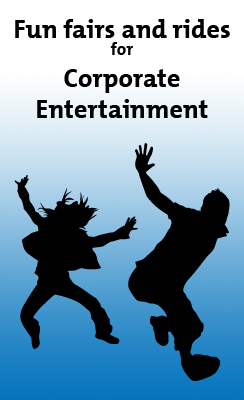 Childrens fun fairs and corporate events entertainment. We have been in the fairground business for over 150 years. We can provide most fairground activities, so please contact us for our fully list of services. We work all over the country at a variety of venues from Sandhurst Military College fo Channel 4 Productions. All rides are includes all trained staff, fully insured up to £10 million public liability.